Ben Higgins is the infamous former "Bachelor," and since - he's gained tremendous fame as a reality star. With 1.4 million Instagram followers and millions more who know his name, Ben decided to use his platform for a purpose greater than himself. Back in 2007, Ben took a church missions trip to Honduras, opening his eyes to the extreme poverty of this world. And that trip - 11 years ago - sparked an idea. He developed Generous International, a coffee company that donates profits back into needy countries, with two of his buddies. Ben has been back to Honduras over TWENTY times to help the locals (among other locations! ), deciding to create the (tasty) platform to impact the shortage of water, jobs, and health throughout third-world countries. Ben isn't openly dating anyone currently, instead focusing his energy on serving the underprivileged in the world and growing his current relationships. “Reality TV can feel very much isolated and all about you as a person. These missions helps me feel like, ‘OK something good is coming from something that sometimes makes me feel really lost. 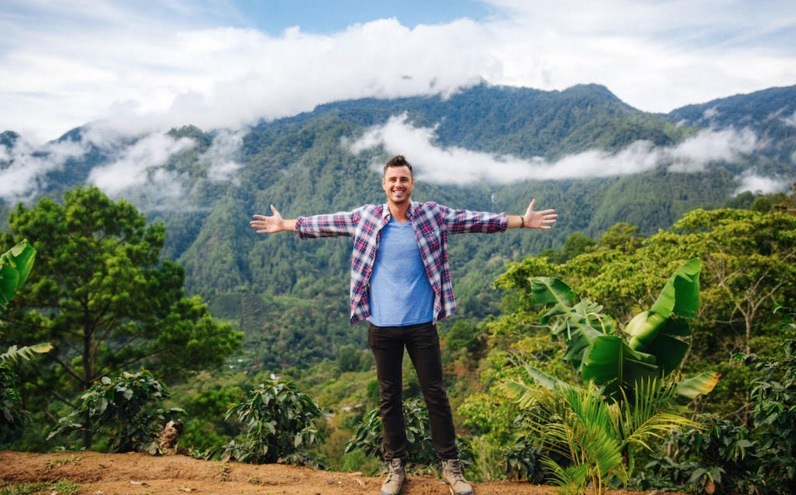 It’d be so awesome if somehow, someway, The Bachelor changed lives for the better," he shared. With the success of Generous, it sure sounds like it already has. 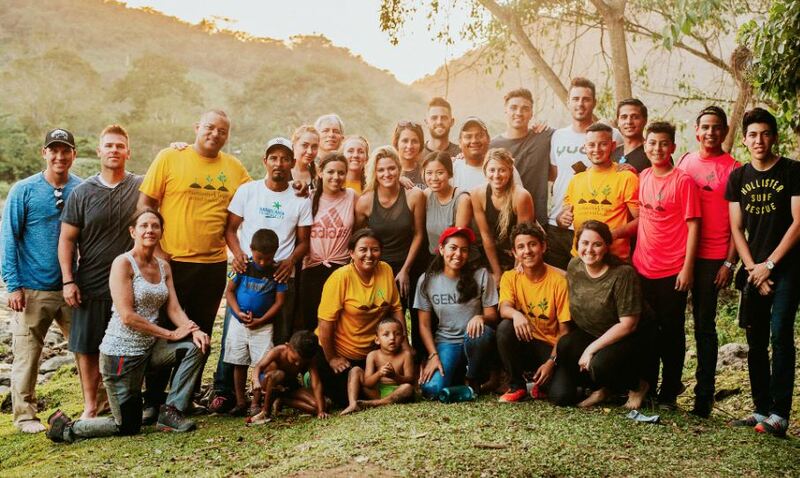 Generous was created after a trip to Honduras; we realized that the non-profit, Humanity and Hope United, needed more funds and a more sustainable funding source. We decided to create a for-profit company that would support non-profits! Coffee was our first product because one of our co-founders used to own a coffee shop and was knowledgeable in the field. Our idea is to provide everyday products that people are already consuming and donate profits from the sale. So consumers are able to do good, simply by buying a product that you already use! And I have two partners, Riley and Drew, and I have a team of people who work with and alongside Generous. What types of nonprofits have you been able to help? Our main beneficiary is the Humanity and Hope United Foundation. But in 2017, we were able to help create charter schools in Malawi! Additionally, we purchase our Generous shirts through the Global Orphan product. And in 2018, we are donating some of our profits to the Stand Up to Cancer campaign. It looks like you truly enjoy giving back! Of course I enjoy giving back! I also believe it’s our directive and a command by God to love others and serve others; to put them above yourself. Between the Generous team, we've been to Rwanda, Ethiopia, Malawi, Honduras, Guatemala, Costa Rica, and Colombia. One of our goals as a company is to build relationships from start to finish – from the source (of the coffee) to the client. We want to meet the people who we source coffee from and we want to further understand their countries! Favorite part about the movement so far? It has to be the people who get involved. The coolest part about Generous is how it's not owned or directed by anyone. Its people driven from start to finish; movement led. This allows individuals to express themselves in whatever capacity they see fit. Is Generous your main business focus right now? Yes, it is! But I also have a podcast, Almost Famous, and a blog, The Mahogany Workplace. That is a hard thing to answer, I just don’t know… I look back over the last 3 years and I never would have imagined the opportunities I’ve been given and the people I met, so I don’t want to put a cap on what could happen in the next 10 years. I’d love to be operating Generous still, I hope it will be a flourishing for-profit company. I want there to be a million stories to be told through the operations of Generous! Black – I love the Colombian.